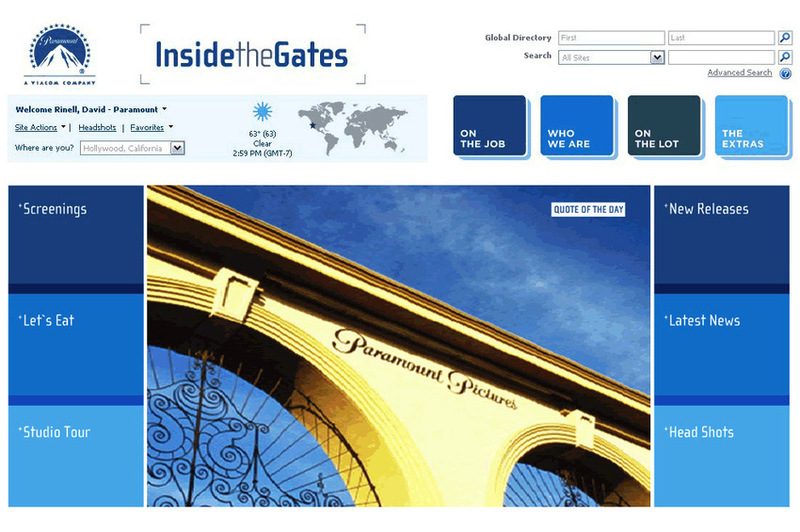 Working as a UX/UI/IA contractor, I spent 6 months on the Paramount Pictures lot in Hollywood reimagining what an intranet portal can be, and pushing the limits of Sharepoint UI design. 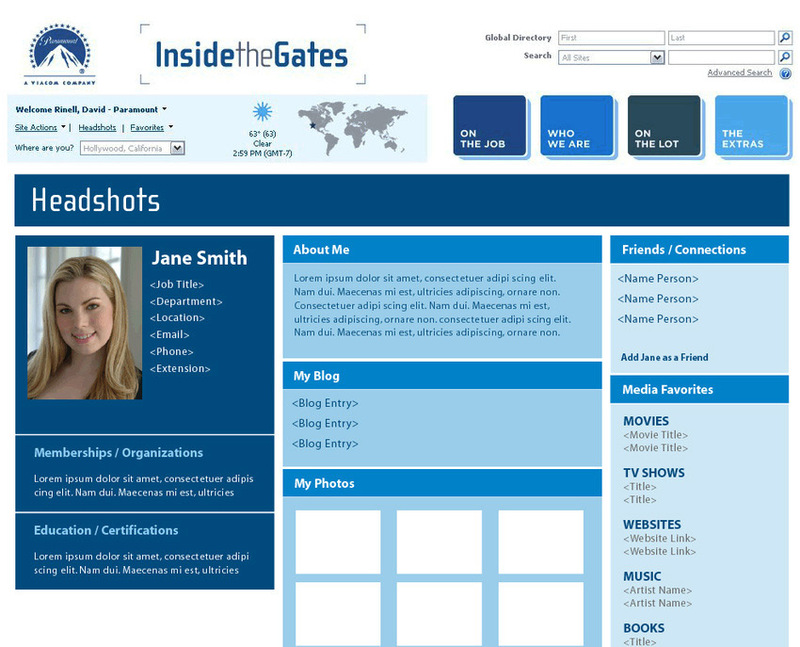 After interviewing dozens of employees, the answer to the question "What do you want from your intranet site?" was "What's playing in the studio theaters?" and "What's on the studio restaurant menus?" So that's what we featured on the front page. And instead of the standard "ID Badge" photo on the employee profile page, we called that area "Headshots" and gave everyone on the lot, from set builders to chefs, a little celebrity treatment. 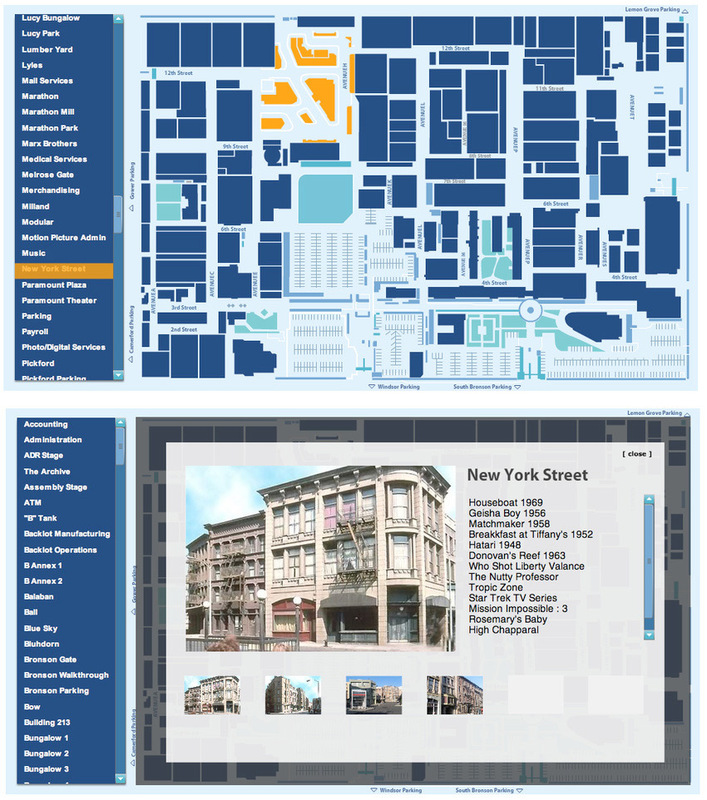 HIGHLIGHT: Created an interactive Studio Tour proof-of-concept that eventually turned into reality. It was outside the original scope and this upsell feature was a hit. 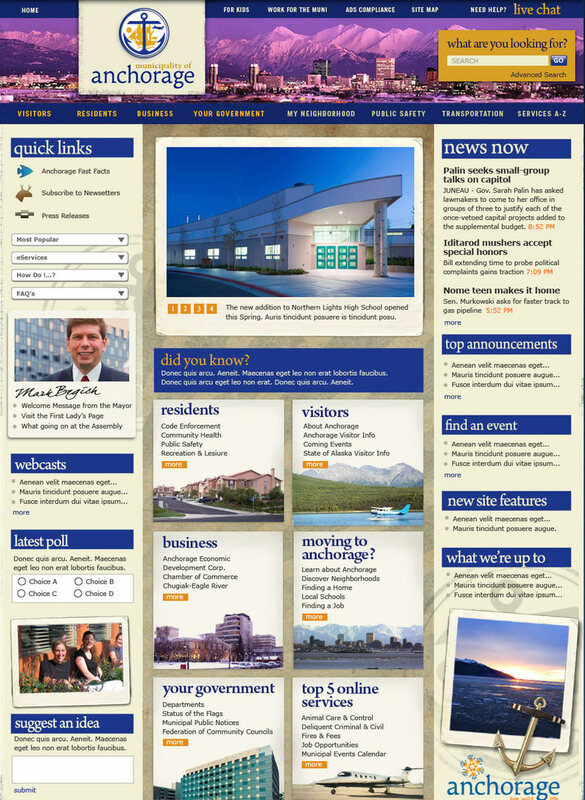 One of several concepts for the City of Anchorage, Alaska. 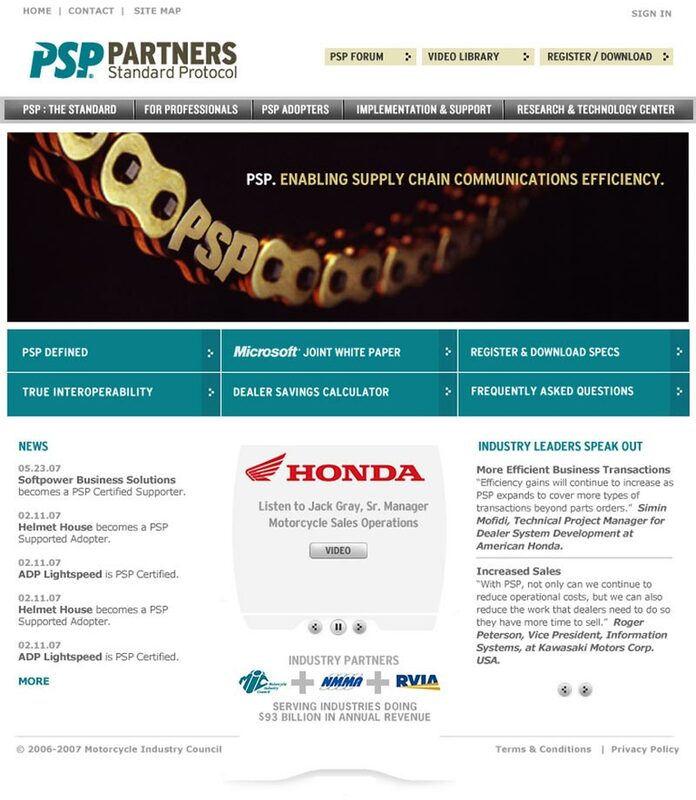 PSP started out as the Powersports Industry Protocol, but realized their system could be applied to RVs, aviation, marine and more. Custom DotNet front-end and backend CMS solution. 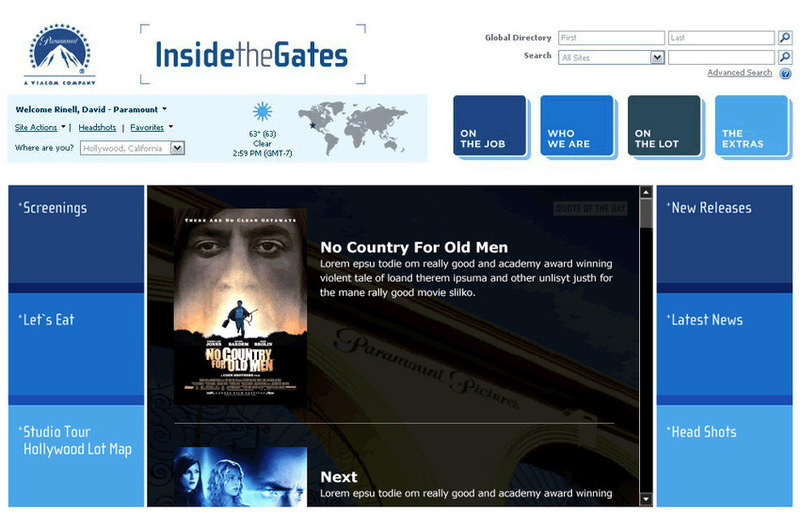 Another intranet portal that used feedback from the employees and turned a previously HR-focused space into something more relevant and entertaining.